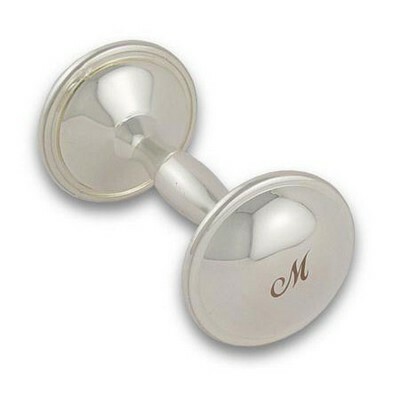 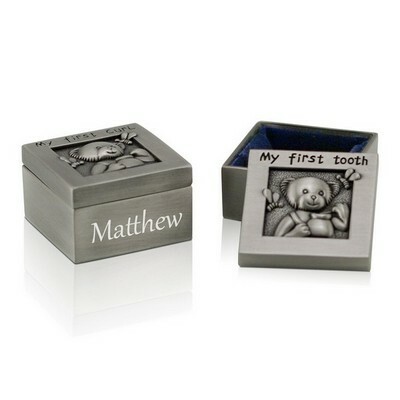 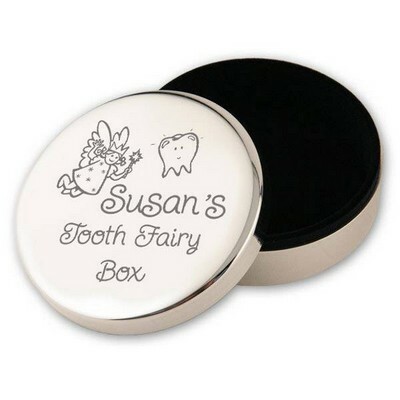 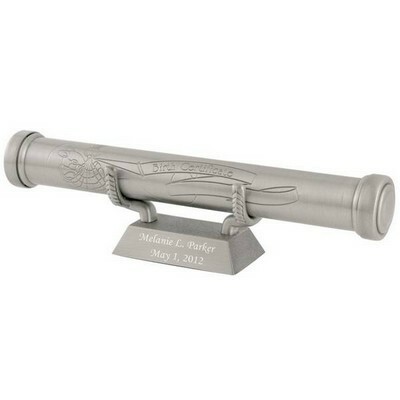 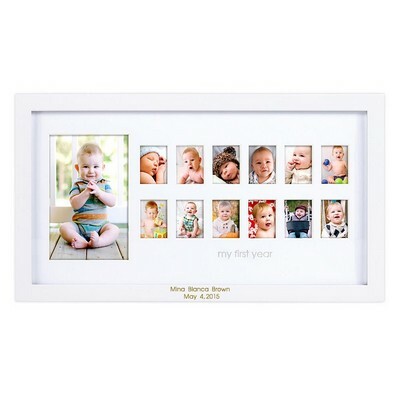 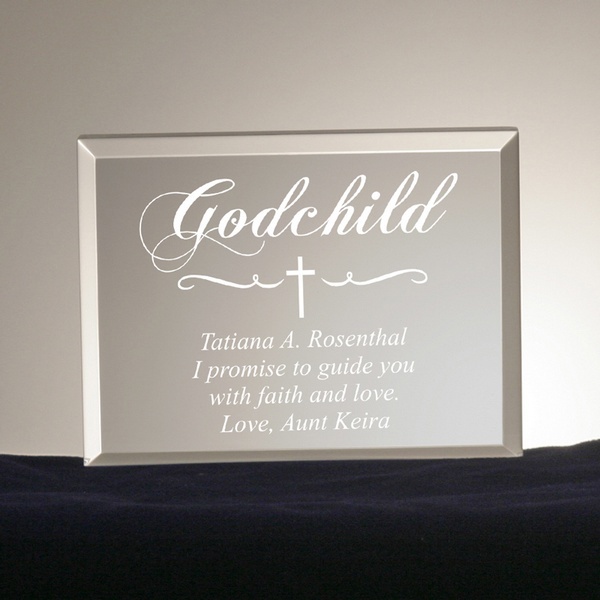 Give your Godchild a gift that will be treasured for many years to come. 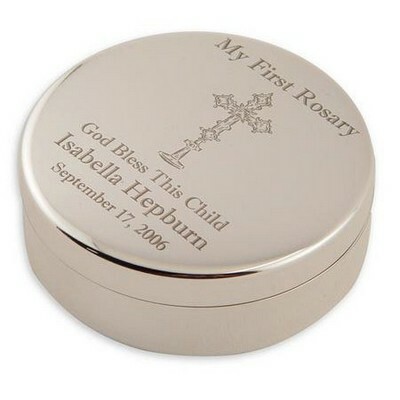 Personalize with a blessing or special message to show your love and devotion to their faith. 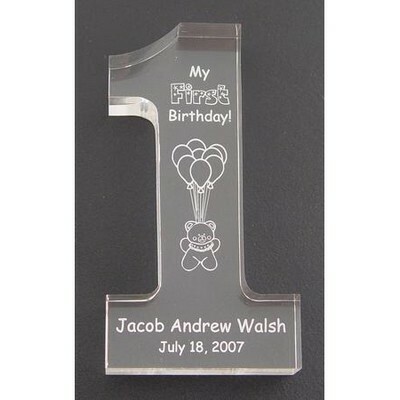 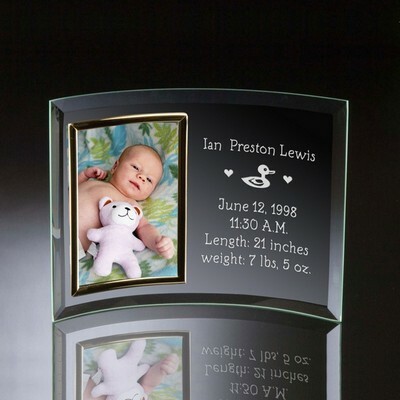 The beautiful crystal clear acrylic measures 4" x 3" x .75" and can be personalized with a special message. Comments: I love this plaque. 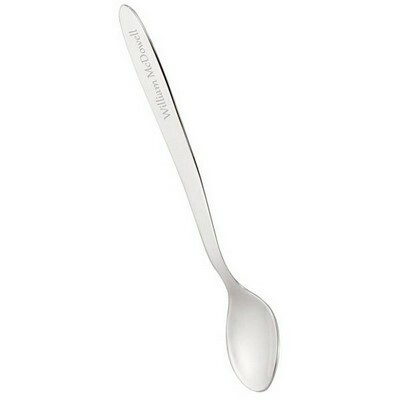 This was one of two that I bought. 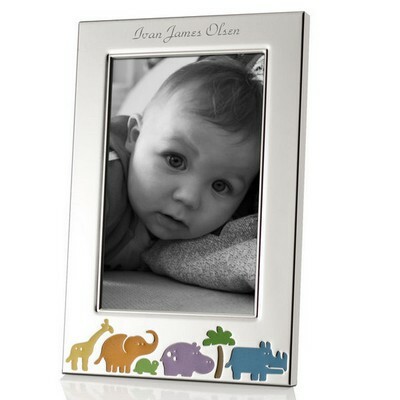 I loved the details and best of all the person who I gave it really liked it!